In examining Gulf Shores real estate trends, at first glance some statistics are difficult to understand. For example, when it comes to homebuilder confidence in the December report recently released by the National Association of Home Builders (NAHB) the number reflects the highest confidence level since 2005 – a period of 11 years! In addition, the one-month move was cited as the largest in 20 years – attributed, in part, at least to the post-presidential election optimism on behalf of many NAHB insiders. Confusingly, just a day later monthly reported statistics on home construction published by the U.S. Census Bureau showed a drop of nearly 19%. The bottom line, at least on the surface, is the nation’s homebuilders are very happy and extremely optimistic, but not enough to build more single-family homes in the current market. As mentioned, the numbers – and the concepts – seem difficult to understand. Let’s take a closer look at what may be at the root of the confusion. Homebuilder confidence as part of Gulf Shores real estate trends, as it turns out, cannot only be portrayed in different ways, it is also very subjective. For example, one expert contends, if you consider the results of the NAHB survey and include surveys from businesses asking them if conditions are the same, worse or better in the face of the recent presidential election, you may find that the results are indications of the “direction” of change, not the “degree" – in other words, qualitative and not quantitative. Quantitative analysis can only be measured after the fact and typically has little to do with theory or anticipated results. Homebuilders continue to be thwarted by a myriad of new regulations that end up costing as much as 25% of the price of a newly constructed home. 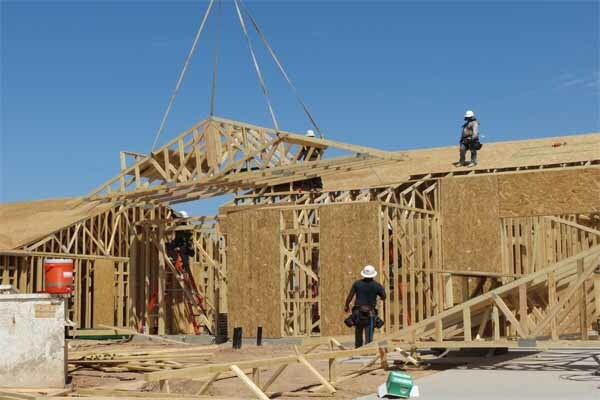 In addition, labor shortages – nothing new in the new construction industry – continue to weigh heavily on homebuilders’ abilities to gear up to the degree they’d need to to meet the existing demand. Ironically, the labor shortage – primarily because it relies on a large number of immigrant workers – may continue during the upcoming Trump administration. Other factors holding builders back include the high costs of land and building materials – with little relief in sight – as there are fewer finished, construction-ready lots in the neighborhoods and subdivisions in which buyers want to live or move into. Then, there's the whole feeling of cautious optimism that comes as a result of previous housing industry setbacks – and most homebuilders are very cautious after enduring the severe housing crash of a few years ago. Lastly, as a homebuilder operating purely on a business level dealing with supply and demand and the proverbial bottom line of making a profit, by building fewer homes in a market – largely called a seller’s market – they can command a higher sales price for the homes they build, and that's one of the Gulf Shores real estate trends that's hard to ignore. See more articles pertaining to Gulf Shores real estate trends in the section of articles on Gulf Shores Real Estate just below Gulf Shores Real Estate Categories in the column to your right. And remember, we also post tips daily on Facebook and Twitter. Check us out there, too.